Sell Tickets app provides a host of tools that allow you to manage your orders effectively. 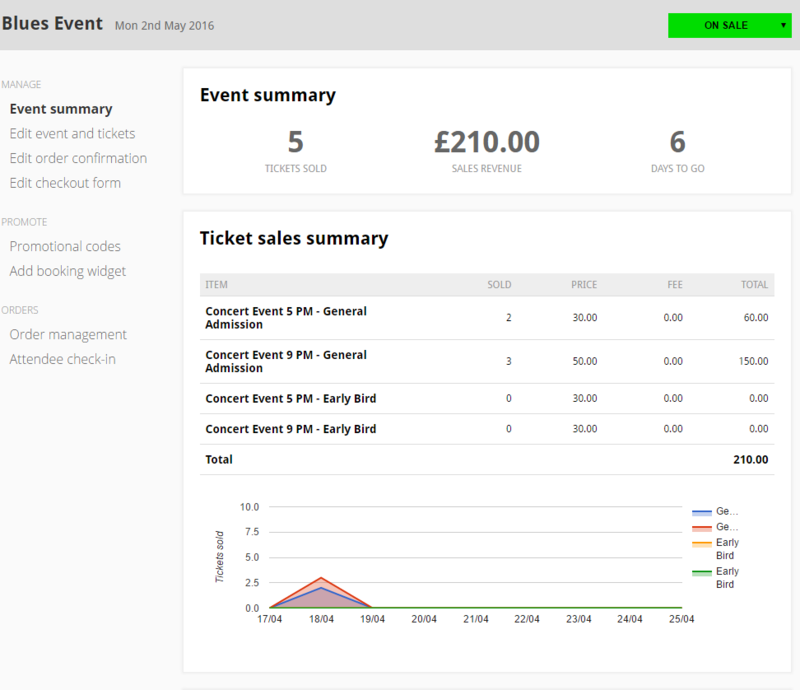 The ticket sales summary is an easy way to keep track of ticket sales. It gives you a summary of the overall sales and shows you how well different ticket types are selling each day. 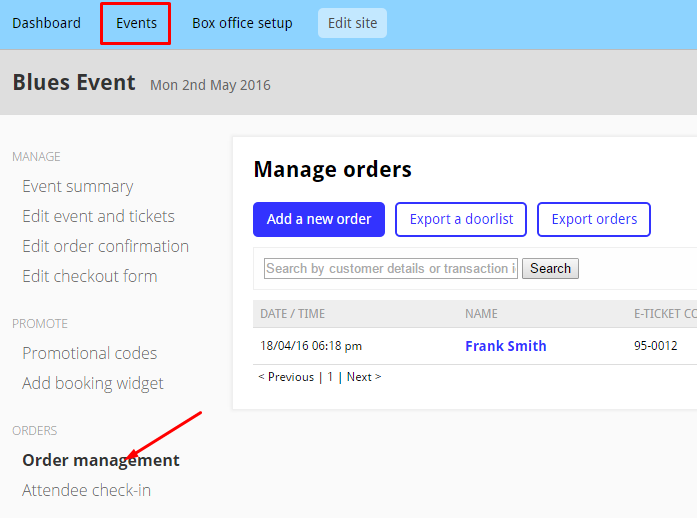 Under the ‘Events’ tab, click the ‘Order management’ tab on the left hand side. Here you will see all the orders that have been made for your event. You can search for customer names, add new orders, export a doorlist or export your customer data. By default this lists all completed orders. 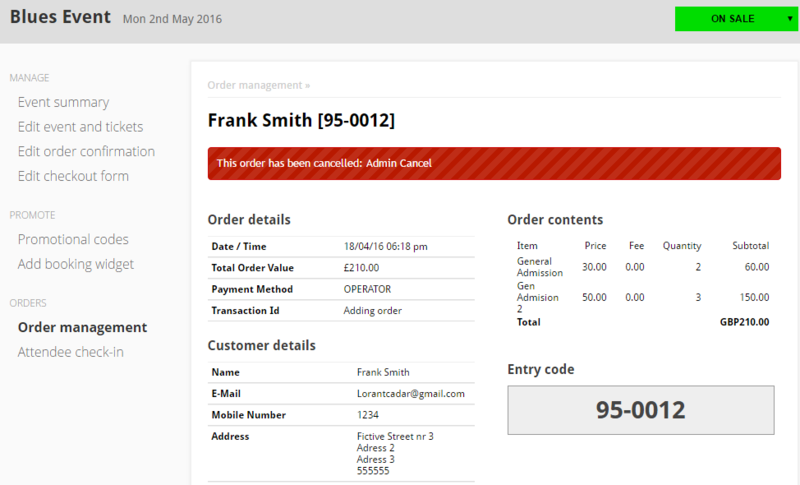 To filter the list and see cancelled orders, use the drop down in the top right. You can click on individual orders to see purchase details, including payment method, customer address and customer email. 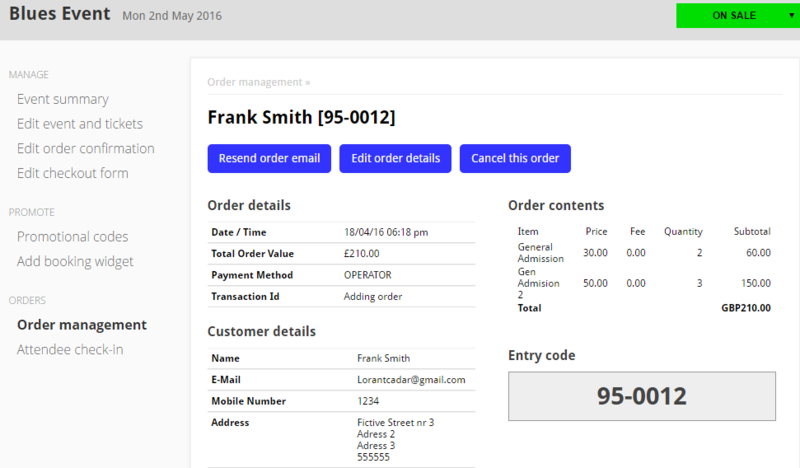 You can also edit individual orders by selecting a single order from the overview and clicking on ‘Edit order details’. Remember to save when you’re done! You can resend any order confirmation by email. To do this, navigate to the individual order and click ‘Resend order email’. Navigate to the order you wish to cancel, and then click ‘Cancel this order’. Enter the reason for cancellation and click ‘Cancel this order’. Once clicked, the order will be cancelled and the customer will be sent a cancellation email to notify them their order is no longer valid. The cancellation reason will be be included in this email.